Common Census | It thinks like you do. 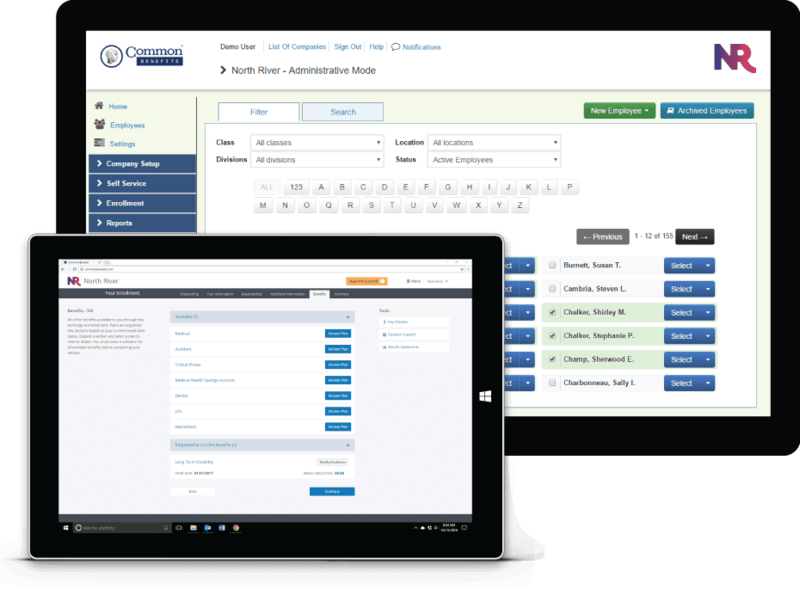 Common Census software makes it easy for brokers, employers, affinity groups and carriers to connect vital information about their benefits and administrative programs to individuals and employees. Flexible enrollment methods include self-service and enroller assisted. Common Benefits is used by HR and insurance brokers. An online portal for Collaborating Carriers to configure benefits. Setup an enrollment for individual self-service, one-on-one interviews with an enroller, or both. With Common Census, any enrollment method may be used on a case: from online to offline to call center. 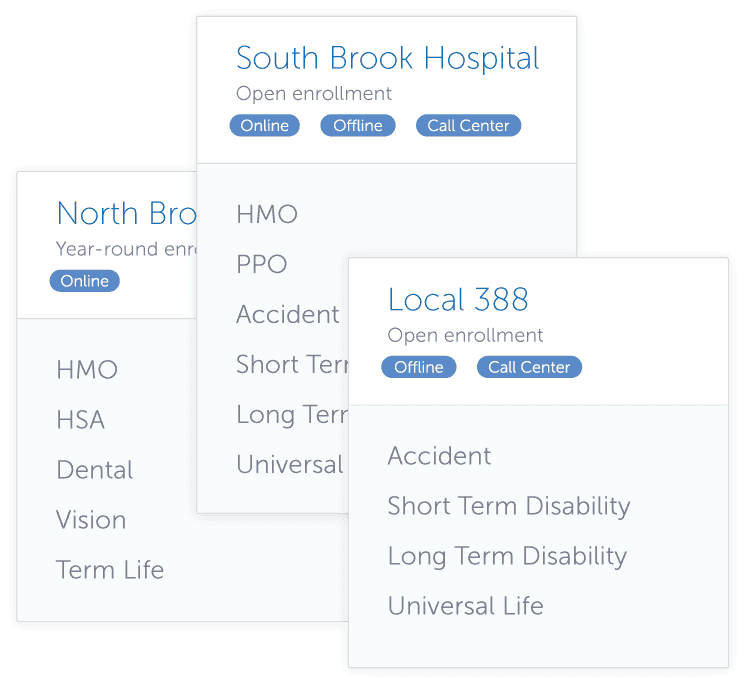 Customize benefit offerings for different groups based on unlimited locations, divisions, and classes. Upon enrollment completion, a easy to read summary is generated as a PDF. Reduce on-going per employee per month subscription fees by enrolling a case with a qualified ZeroPEPM carrier. Open a new enrollment session and send invitations to individuals, a subset, or the entire group. Get notified when an individual makes a change. Review and process change requests one-by-one or in a batch. Setup automatic EDI to carriers and generate custom reports including payroll. Get started quickly with access to over 100 pre-built, free to enroll products from our Collaborating Carrier portfolio. Experience the Benefits Operating System in a live demonstration. National Benefits Group of America, Inc.
© 2017 Common Census, Inc.